The social media mogul Snapchat has recently come under fire for its new version of their application. On the original version of the app, there were three pages to the app. The left page was where you would text and communicate with friends, the middle page was the camera, and the right page was where you could view your friends’ “stories,” which are publicly uploaded pictures/videos. On the new version of the app, the right page was completely revamped. No longer were stories on this page, but instead moved to the left page. Now all that’s on the right page is advertised content from other media outlets. The content on the right page now is all crammed together into one page, making it hard to accurately find what you’re looking for. On Change.org, a petition to revert to the old version of the app has accumulated 1.2 million signees. Even celebrity Kylie Jenner was not a fan of the update. “sooo does anyone else not open Snapchat anymore? Or is it just me… ugh this is so sad,” Kylie said on Twitter. Her tweet has already gained 355k likes and 71.8k retweets. 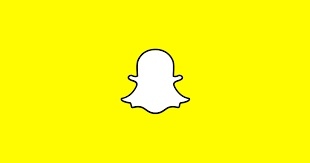 Negative feedback on the update seems to have taken a toll on Snapchat’s revenue as well. At the time this article was written, Snapchat has lost $1.3 billion in stock since its new update. Snap Inc. has responded to these criticism, and it seems like they plan on keeping the changes that have been recently implemented. For the time being, users will have to get used to this update. Perhaps the company will change its mind and revert to the old version of app, but from what it looks like, Snapchat has changed and will stay the same for quite some time.